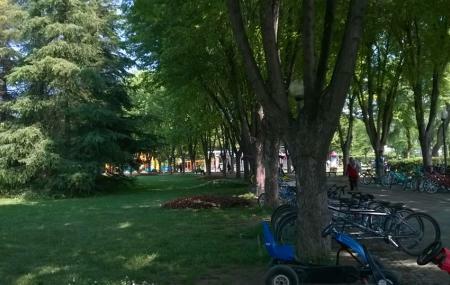 Soganli Botanik Parki is a quiet place where you can spend some time for yourself during your Bursa trip. Rich in flora and fauna, it has everything that a visitor might require to accompany his quietude. The park, as the name suggests is a botanical park and home to thousands of variety of flowers one has ever seen. As if that’s not enough, a significant part of the garden is devoted to wildlife where tourist can see a number of different animals and birds. The park is the perfect destinations for families where parents can revel in the serenity of the surrounding while children can entertain themselves paving through the zoo. How popular is Soganli Botanik Parki? People normally club together Tombs Of Osman And Orhan and Misi Village while planning their visit to Soganli Botanik Parki. People also prefer to end their day with Soganli Botanik Parki.